1. First, assemble all your ingredients. 2. 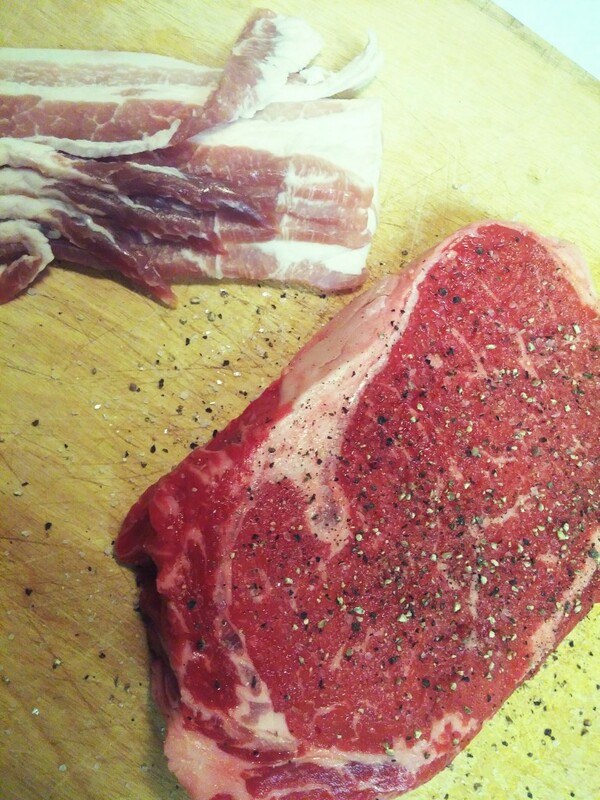 Cover your steak on both sides with salt, and pepper. Get your bacon ready too! 3. 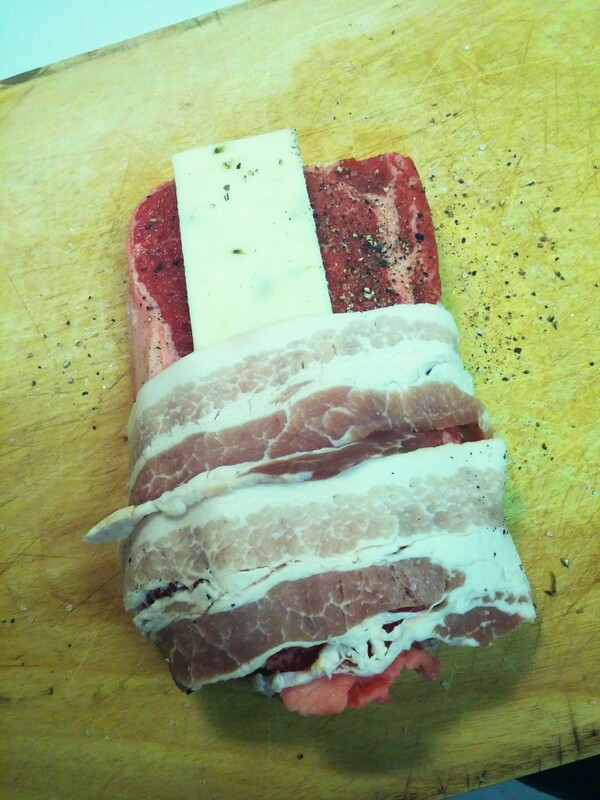 Now unwrap your cheese (I used pepperjack) and place in the center of your steak, and then wrap the bacon all the way around the steak and cheese. 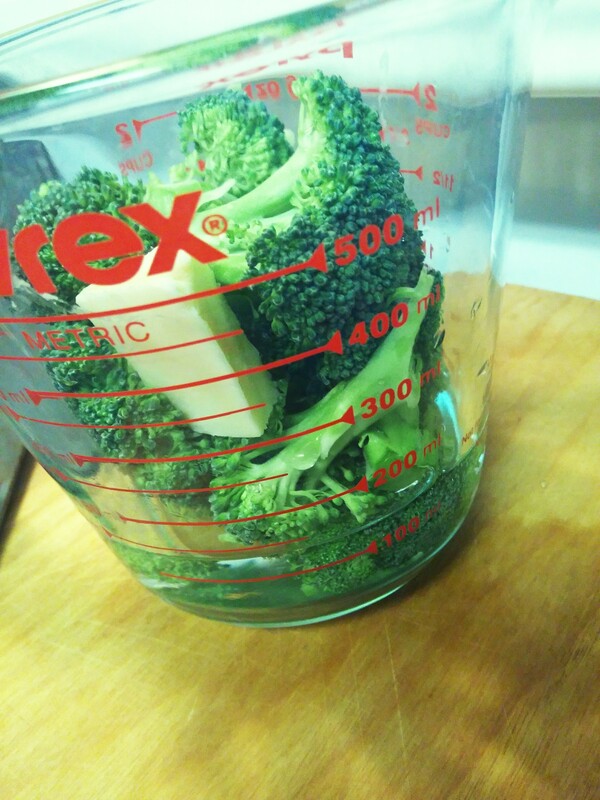 You’ll want to make it pretty tight so the cheese doesn’t melt out too much. 4. 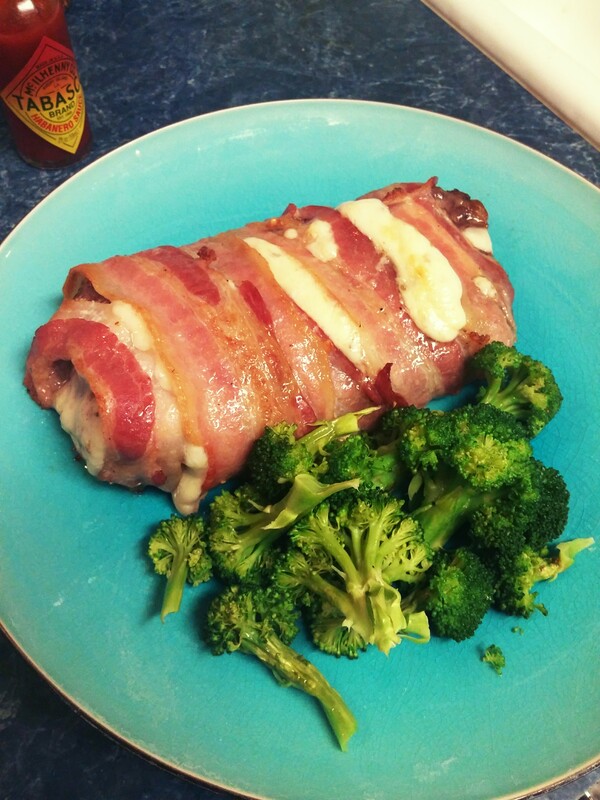 Once your steak is all wrapped up with the salt, pepper, cheese and bacon let it sit for about 20 minutes so it warms up closer to room temperature and cooks better. Now you’re going to want to turn your oven on to about 450 degrees. 5. 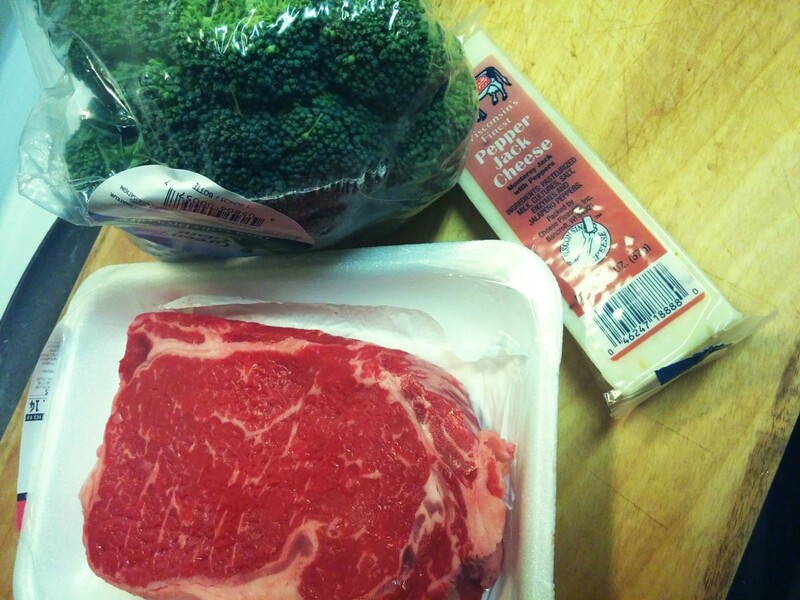 During the time your steak is warming up, you can go ahead and cut some of the brocoli up and put it in a microwave safe recepticle, along with a tiny bit of water and a little chunk of butter. Cover with some saran wrap or similar. Place in the microwave and set the timer to 3 minutes at full power. 6. Then you want to place the steak in the oven and cook for about 13-17 minutes depending on oven style, and desired level of blood in the steak. 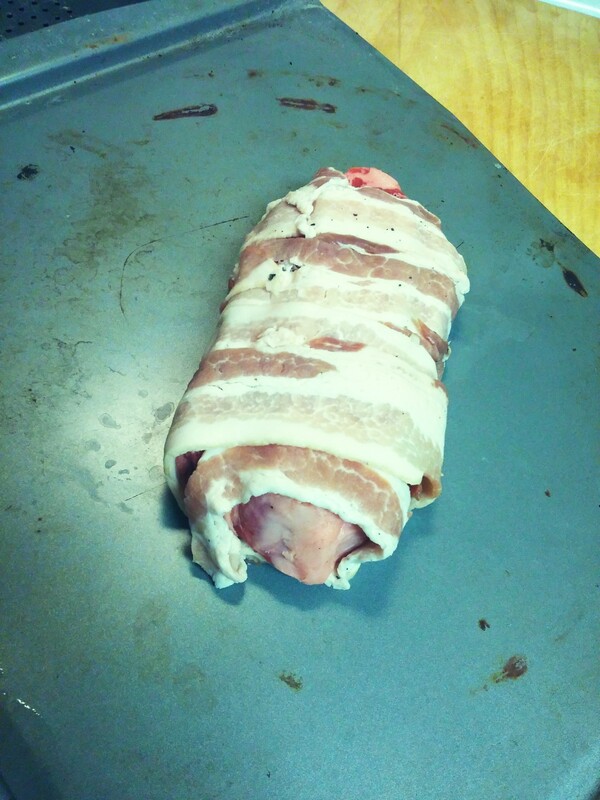 After this time you may want to turn the broiler on for a couple minutes to crispify the bacon up. Once everything is done, it should look something like this and taste friggin delicious.